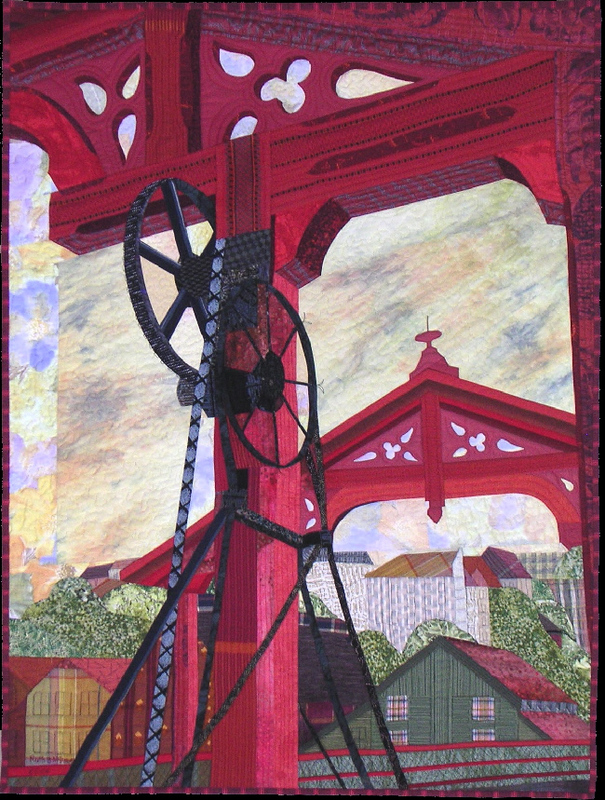 Actually, this quilt is really called "Red Bridge", but I mislabeled it for some reason. The bridge is a small wooden drawbridge in Trondheim, Norway. The wooden parts are painted in a glowing Norwegian red. In addition to more standard red quilting fabrics, I used some that had been made for use in traditional Norwegian costumes.